Unfortunately, I missed highlighting Dithyramb Winery during my first Colorado wine showcase late last year (see Caution, High Altitude Ahead). Better late than never, tonight’s post introduces and welcomes Colorado’s newest winery on the block, Dithyramb Winery. Located in Centennial, Colorado, owners and winemakers Sean and Candice Bundy opened their home-based, boutique winery in 2008. Contracting their grapes from vineyards located on Colorado’s western slope in the Grand Valley AVA, the winery specializes in small, handcrafted batches. For my Greek mythology fans, the name Dithyramb is a hymn sung to Dionysos, the Greek god of wine. I received two samples from the winery, a Traditional Mead and a Cabernet Franc. Tonight I focus on the Cabernet Franc, a personal favorite of mine. Recently released in January, the 2008 vintage retails for $20 and clocks in at 13.5% alcohol. Aged in French oak, only 50 cases were produced. On the nose, ripe black fruit with a hint of oak shine through, lending support to a nicely balanced, charming wine. A solid effort for their inaugural release. Be sure to read fellow friend and wine blogger, Jacob Harkins review of the Dithyramb 2008 Cabernet Franc. I also suggest bookmarking his outstanding wine blog, ColoradoWino.com. Cheers! 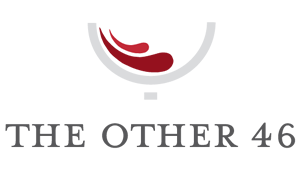 Click here to vote TheOther46.com as your favorite wine blog!